Ed and I landed in New Orleans and spent an evening witnessing the outrageous bacchanalia and street theater of the French Quarter. The next day we drove to Petal, Mississippi to the Indian Springs Coop to meet with Ben Burkett, an African American farmer whose family has been farming in Petal for over 120 years. 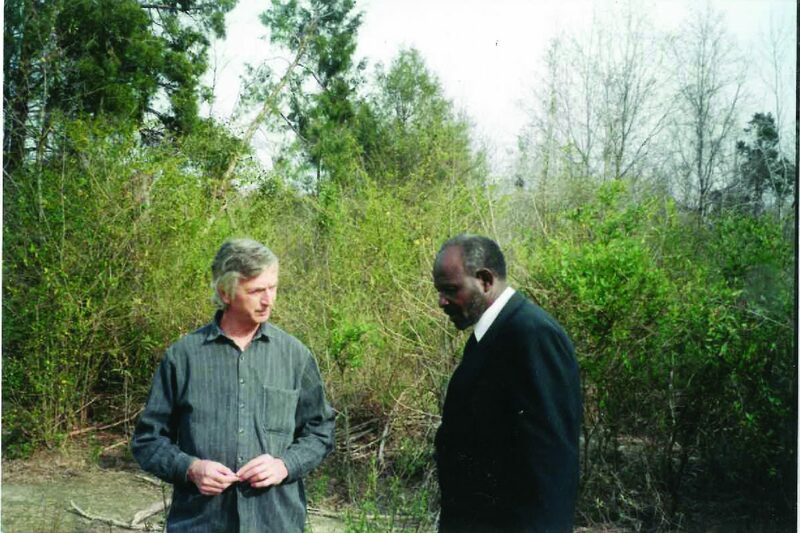 Dr. Alstat, ND, accompanied me on site visits to Black Belt farmers of the Deep South as part of the Bioneers’ medicinal herb and organic farming project in collaboration with The Federation of Southern Cooperatives. Ed made the trip pro bono to share his expertise and enthusiasm for medicinal herbs and help identify markets for Black farmers who have experienced generational racism and are struggling to hold on to their land. Tragically, Ed recently died in a car crash. Dr. Alstat was inspired by the Eclectic doctors of the late 1800’s and early 1900’s who rejected the crude medicinal practices of the day like toxic purges, mercury-based medicines and bloodletting, and embraced herbal remedies and physical therapy. That inspiration led him to found the Eclectic Institute, an innovative organic herb company that freeze dries herbs to maintain maximum quality and medicinal potency of the plants. Ed also developed a 90-acre herb farm in Oregon, within sight of Mt. Hood, that grows organic herbs and preserves endangered medicinal plant species. The farm hosts an herb camp for kids in the summer where they harvest herbs and make their own remedies. Ed was an award-winning naturopath who was passionate about herbs, wild crafting, organic agriculture, and innovation. Knowledgeable, curious, creative and generous (Bioneers benefited from Ed’s support), Ed has often been described as larger than life. A staunch plant protector, he was one of the early herbalists concerned with the overharvesting of goldenseal in the wild when goldenseal became very popular and expensive about 20 years ago. Ed urged people to plant goldenseal (not an easy task to cultivate a plant that lives under the canopy of the Eastern forests) to help protect wild stands. Encouraged by Ed, I planted 99 goldenseal plants in a shady spot before I had put deer fencing around my yard. Thinking the bitter flavor of goldenseal would deter any deer pressure, I was proven wrong and now only one plant survives under my apple tree, a meager but poignant reminder of a man who was a great ally to the botanical world, an herbalist, entrepreneur, healer, husband and father.